Grace, Kindness & Fun! Jeff and Laura’s Beautiful Wedding Day and Weekend At Alderbrook Resort. I love so much about Jeff and Laura. 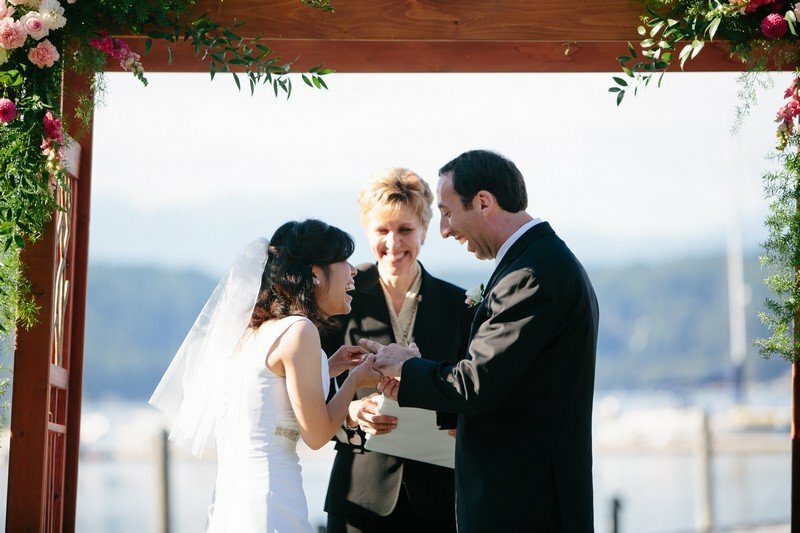 Married in September at Alderbrook Resort, Jeff and Laura could write a handbook on grace, kindness and fun when it comes to designing and enjoying a wedding day. Not only was this lovely couple very detail-oriented and “on things,” but they worked to insure they would both fully enjoy their wedding day and weekend at Alderbrook Resort by having strong and vibrant wedding pros around them. You know, it’s often funny what I remember about a couple on their wedding day. With Jeff and Laura, a few things stand out – I remember watching them relax together on a couch immediately after their ceremony, their faces beaming with love and pride. I recall standing to the side before ceremony and watching them with their family photos. It was quite the production to get all of this couple’s many relatives in photos and I remember smiling at the delightful craziness of it all. I remember a super helpful and fun-loving “cousin” at the wedding who some how and some way stepped up out of nowhere and became my “go to” girl, making my job that much easier as I worked to pull together pre-ceremony details. Grace, kindness and fun. This sweet couple could write the book. Jeff and Laura – much continued happiness to both of you! Comments Off on Grace, Kindness & Fun! Jeff and Laura’s Beautiful Wedding Day and Weekend At Alderbrook Resort.